President Barack Obama might be powerful and well-known, but the White House got some Hollywood star power Wednesday: Brad Pitt and Angelina Jolie stopped by for a chat with the chief executive. The actors were spotted in the Oval Office by photographers waiting outside for the president to take off for a trip to Chicago. 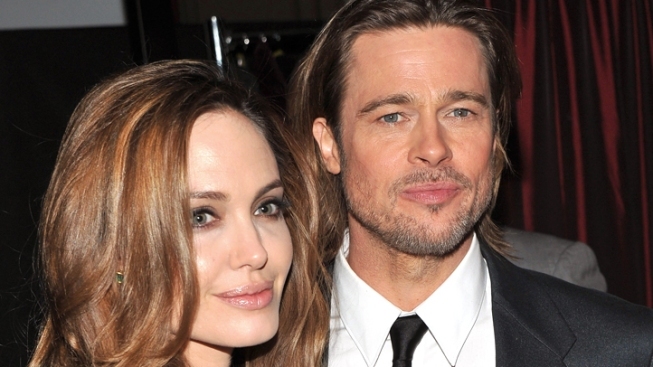 The White House confirmed Pitt and Jolie were in town to screen Jolie's movie about Bosnian war crimes at the Holocaust museum. They dropped by so the president could talk with Jolie about her work on preventing mass atrocities and combating sexual violence against women. It's not the first time Obama's met with one of the pair. In 2009 the president met with Pitt to discuss his working rebuilding New Orleans' Ninth Ward after Hurricane Katrina. Jolie also met with CIA Director David Petraeus at the agency's headquarters. Jolie wanted Petraeus' perspective on cultural trends in Afghanistan for her work with Afghan refugees, an official close to the former U.S. commander in Afghanistan said, speaking anonymously to discuss the private meeting. They had a similar meeting in Baghdad in 2008.